The H.W. 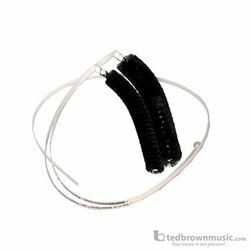 Brass-Saver® set for French Horn includes a pull-through brush for the lead pipe (sized for single and double) and a pull-through brush for the removable slides. * These brushes are completely non-metal, will not scratch or get stuck, and can be used wet or dry. They offer a safe and convenient way to keep your French Horn clean and in good playing condition.